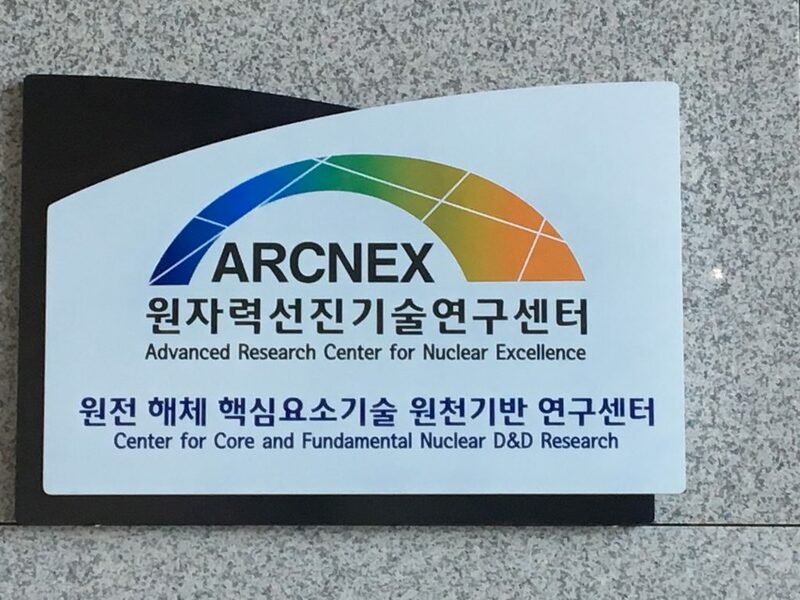 At the official signboard-hanging ceremony of the Center for Core and Fundamental Nuclear D&D Research. The ceremony took place at UNIST on March 3, 2017. The official signboard-hanging ceremony of the Center for Core and Fundamental Nuclear D&D Research took place at UNIST on March 3, 2017. 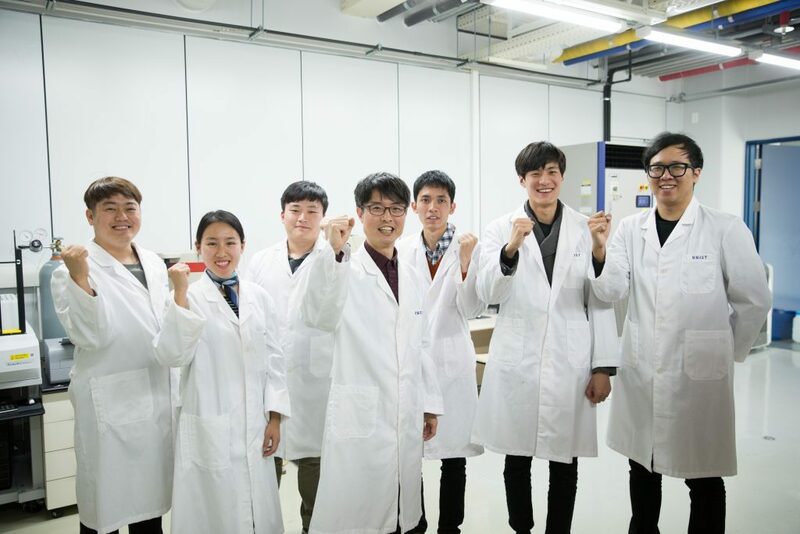 With the help of this center, UNIST will develop original core technologies for dismantling nuclear power plants, training specialized manpower required for dismantling industry, and building infrastructures for related industries. The center was established as part of the Advanced Research Center for Nuclear Excellence (ARCNEX) project by the Ministry of Science, ICT and Future Planning (MSIP). It has secured 3.15 billion won from MSIP for up to 5 years and 1 billion won from Ulsan city and Ulju county. 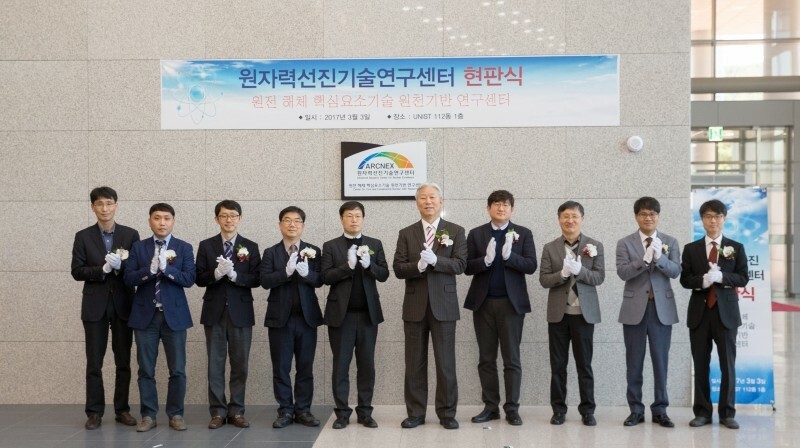 On the same day, the opening ceremony of KAIST’s ‘Radioactive Waste Polyphase Complex Interfacial Radiation Chemical Research Center’, as well as the “Innovative Technology Development and Verification Research Center for Improving SFR Safety” by POSTECH was also jointly held at UNIST. UNIST hopes the center serve as a neutral platform for industry and academia collaboration, focusing on finding a solution to fundamentally improve the decontamination efficiency of removing disposal safety and radioactive contamination. Director Hee Reyoung Kim (forth from the left) and his research team at the Center for Core and Fundamental Nuclear D&D Research, UNIST. The research center will analyze and evaluate human errors that may occur during dismantling operations and will develop key technologies to reduce radiation levels by selectively removing specific radioactive materials, such as cesium from nuclear dismantling waste. “Through collaborative research with industry-related companies in the region, UNIST will do its best to make Ulsan, the mecca of the nuclear dismantling services market,” says President Mooyoung Jung of UNIST.